Preheat the oven to 300° F and line a rimmed baking sheet with parchment paper. In a large bowl, mix everything together. Smash some popcorn you want it to be well coated. 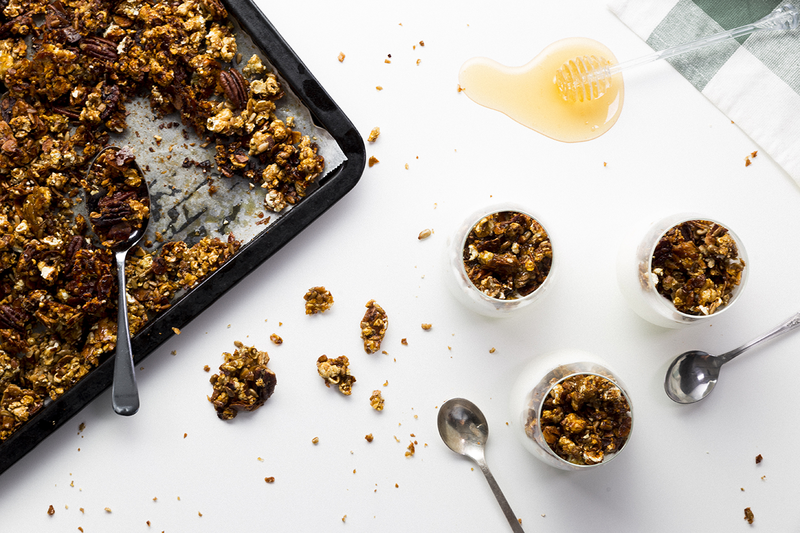 Spread mixture in an even layer on a rimmed baking sheet. Transfer to oven and bake for 15 minutes, until crispy, about 45 minutes. Taste. Let cool completely before serving. 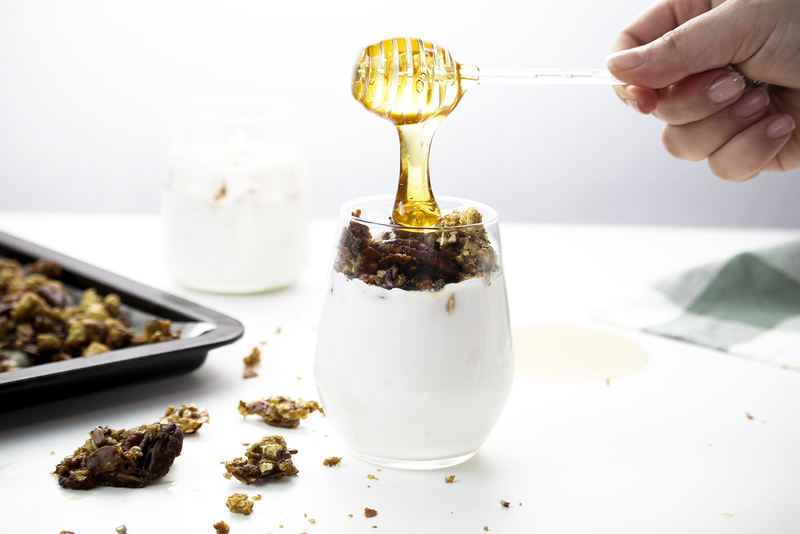 Eat with some yoghurt and top it up with honey. Enjoy! Looking for the perfect popcorn maker? To crown that movie night or whip up a memorable snack for that Kids’ party? 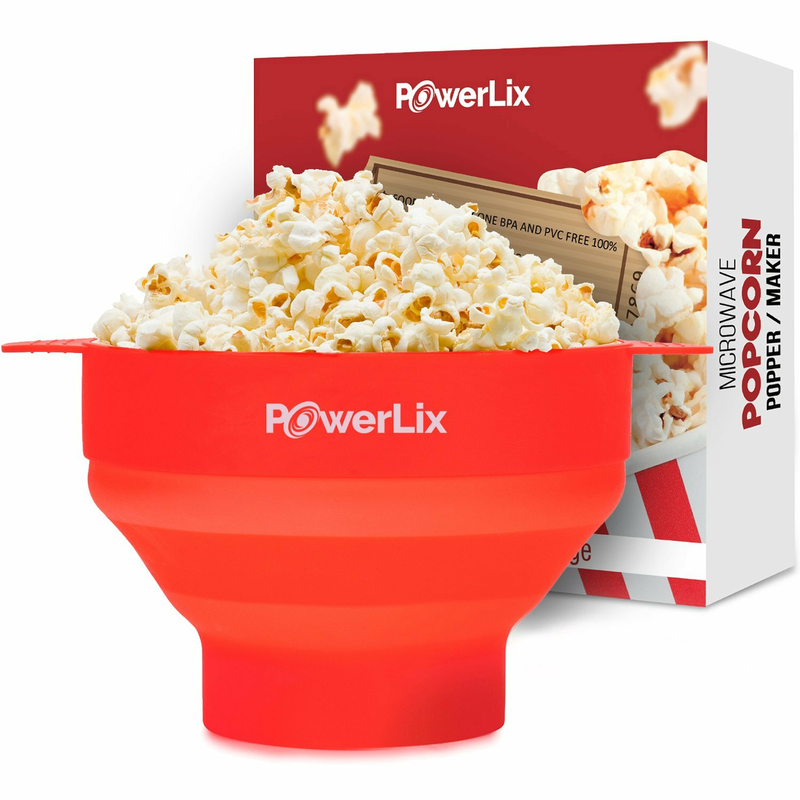 Then PowerLix microwave popcorn popper with cover has got your back! It makes up to 14 cups serving of deliciously fluffy popcorn under 4 minutes without the inconvenience of other popcorn makers.